An old boss of mine used to say, “Thanks for your efforts today,” to people as they were leaving and you knew that he really meant it. I’m not as good at applying the positive praise approach at work – it feels odd to say, “I really valued how quickly you turned around that status report, thanks!” Somehow it feels insincere, but I’m quick to praise in writing and I will say thank you and mean it on the phone. Put it down to being British – being overly demonstrative or success-celebrating at work isn’t our thing, although I do think that is changing. Anna Carroll would say that at work I fall into the Motivator category. 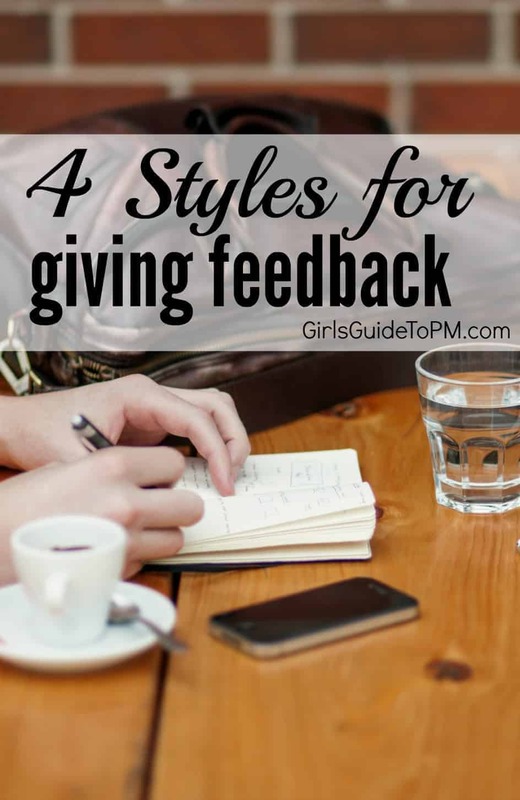 She is the author of , a book that covers every possible aspect of giving and receiving feedback at work including 4 feedback-giving styles. How you give feedback isn’t fixed in stone. It’s an approach, rather than a behavioural trait, and you’re perfectly capable of switching between all the different styles when you have to. But Carroll says that people have a preference – a style they are most comfortable operating in. Let’s look at them now. Motivators tend to be inspiring managers who are happy to give consistent, timely, positive feedback to the team as a whole and to the individuals within the team. Yes, that’s me. Very happy to say when things are going well, even copying in their boss to emails so the higher ups know that they’ve done a great job. Less comfortable taking people aside and telling them to pull their socks up. What it means for project managers: Motivating teams is part of a project manager’s job, as is keeping team morale high and making sure people have what they need to get the job done (including the right attitude). In a matrix structure you can draw on the line manager of your resources if you need support giving corrective feedback. People with a Charger preference give feedback straight away, focusing on what is needed for improvement. They do this more easily than someone who has any of the other preferred approaches for giving feedback. They can do it because they have a clear view of business goals, they know what success looks like for the team and they are confident expressing that. However, they can come across as critical and unaware of the needs of individuals – sometimes we like positive strokes as well. What it means for project managers: Focusing on the end date and deliverables can push the feelings of the team to one side. Take time to thank them for a job well done and celebrate team and individual successes, however small, along the way. If you fall into this preference zone you’ll probably acknowledge that while giving positive feedback comes naturally, giving corrective feedback is more of a challenge. You can be so concerned about managing the feelings of an employee that you don’t give the feedback needed to help them raise their game. What it means for project managers: You need your team to perform, so don’t shy away from corrective feedback and don’t wait until formal employee reviews to give it. Talk to the individual’s line manager if you have concerns about how they’ll react. Analyzers are those who are able to provide clear examples of the behaviour in question. If you work for an Analyzer you’ll have noticed that they have a stack of data about what went well and what you could have done differently. This is really helpful to a team member looking to improve. People who have this data-driven preference struggle to give spontaneous feedback because it doesn’t fit with being able to spend time drawing logical conclusions from the work and behaviour. They also – and let’s pigeon-hole them all here – find it uncomfortable to give corrective feedback in case it generates some kind of emotional response. What it means for project managers: Projects generate a lot of data, and it would be easy to suffer from analysis paralysis when it’s time to give feedback. Stick to the most important facts to keep things moving and remember that feedback is most helpful when it is timely. Giving feedback successfully requires confidence in your abilities. Build your self-confidence at work by learning 10 strategies to help you stop feeling like a fraud in the office. 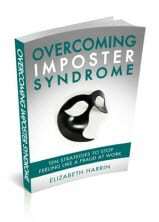 Overcoming Imposter Syndrome is an ebook designed for everyone who has ever felt as if they didn’t really know what they were doing at work. Get your copy here. Filed Under: Skills, Stakeholders Tagged With: This article contains affiliate links.